The extreme 2016 harvest is over and the new wines are urgently being bottled to ensure that an out of stock situation is prevented. It was a small harvest which allowed more time for experimentation than usual. This was stimulating for all involved and the positive discoveries will be incorporated into our winemaking in the future. Quality improvement in an environmentally responsible manner is a driving force at Villiera. We are into the third year of changing over to a new pruning regime in the Villiera vineyards where we are guided by an Italian expert. He has great affinity with the staff and the results are already paying off. The fruit is healthier and more evenly ripe, with a more consistent yield. These changes will gradually be reflected in our wines and allow us to remain as competitive as we have been over the last 34 years. With one toe in France, we celebrate Bastille Day each year and we use the opportunity to show off our Domaine Grier range from the Roussillon (South of France). This year we will be having a French themed food and wine event in the Villiera Cellar on the 9th of July at 12h00. 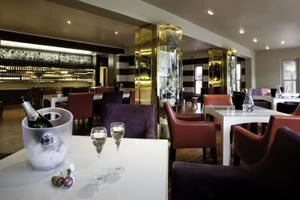 We will show different vintages of selected wines in the range with dishes designed to accompany the styles. The cost will abe R450 per person and it promises to be a fun filled afternoon. See our website for more information and you can book with Ashleigh at Villiera on (021) 865 2002 or	wine@villiera.com. 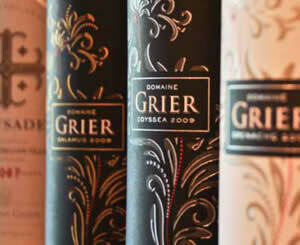 While on the subject of Domaine Grier, we have always felt that our French wines shine with food. We are introducing a “Mise en bouche” platter designed to accompany a selection of our Domaine Grier Wines. It will be readily available in our tasting room as an alternative to what we already offer. 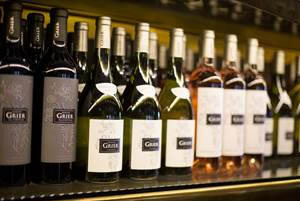 The cost of the new option will be R90 per platter, including a tasting of 4 Domaine Grier wines. Bookings are preferable but essential for groups. Apart from regular appearances at wine shows and events around South Africa, Villiera is fully involved in the events leading up to the annual Cape Winemakers Guild Auction on the 1st October at the Spier Conference Centre. Jeff is presently in France visiting Domaine Grier which he is fortunate enough to do twice a year. On this occasion he is supervising a series of cellar improvements that will ensure improved accessibility and greater capacity. While he is there he will assist in finalising the 2015 red blends prior to barrel maturation and he will visit clients in the region. The 2015 Domaine Grier Chardonnay was awarded a gold medal at the Chardonnay du Monde Competition. This is an outstanding result and we are just as proud of the 2015 Rosé. The vintage is proving to be one of the best since we have been involved in France and we have high hopes for the 2015 reds. Provided the weather plays along, drives through our Wild Life Sanctuary, during the Winter Green Season are a pleasure. Please don’t forget to book for these with Ashleigh on (021) 865 2002 or wine@villiera.com. If you have not yet joined our Wine Club, simply email club@villiera.com to receive your membership form. 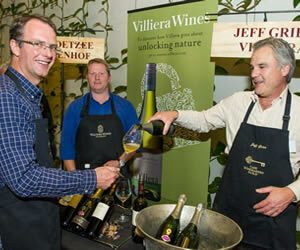 For further information and benefits, contact René on 021 865 2002 or follow the WINE CLUB link on www.villiera.com. Our online shop is now available to facilitate ordering Villiera wine for Club members. You can register as a member online on www.villierashop.com. We are situated 40km from Cape Town, 20 km from Paarl and 10 km from Stellenbosch. Take exit 39 from the N1 highway. Travel 2 km down the R304 in the direction of Stellenbosch. Villiera Wines is on the right corner of the R304 and R101, opposite the Koelenhof winery.